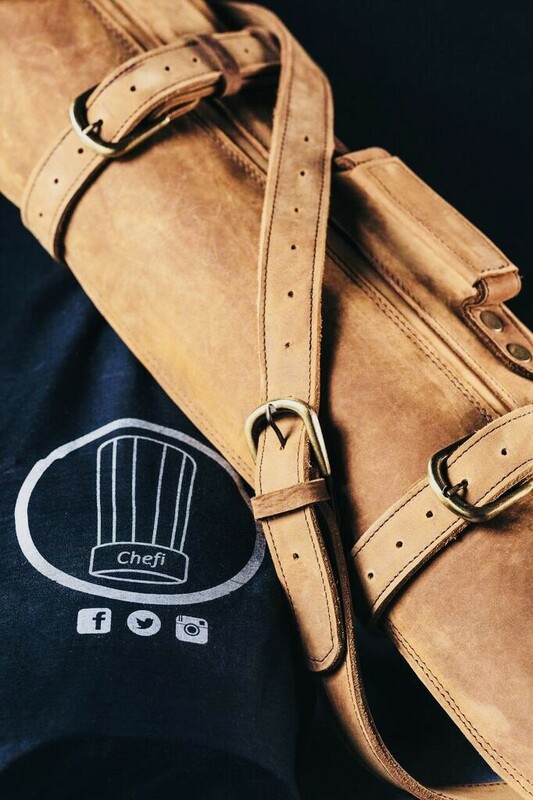 Chefi leather knife roll is designed for passionate professional chefs, who want to protect and carry their valuable set of knives and accessories. 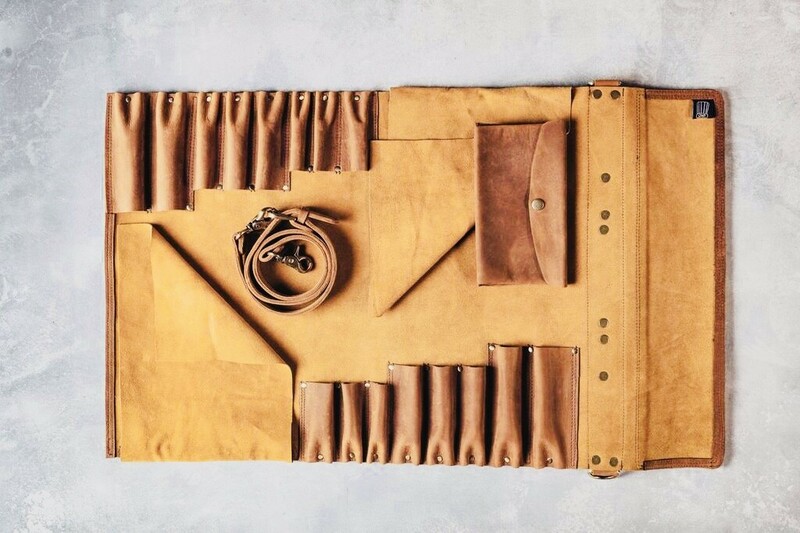 Every Single leather knife roll is hand crafted with precision. It is made up of genuine leather for storing and a perfect knife roll for quality and versatility. 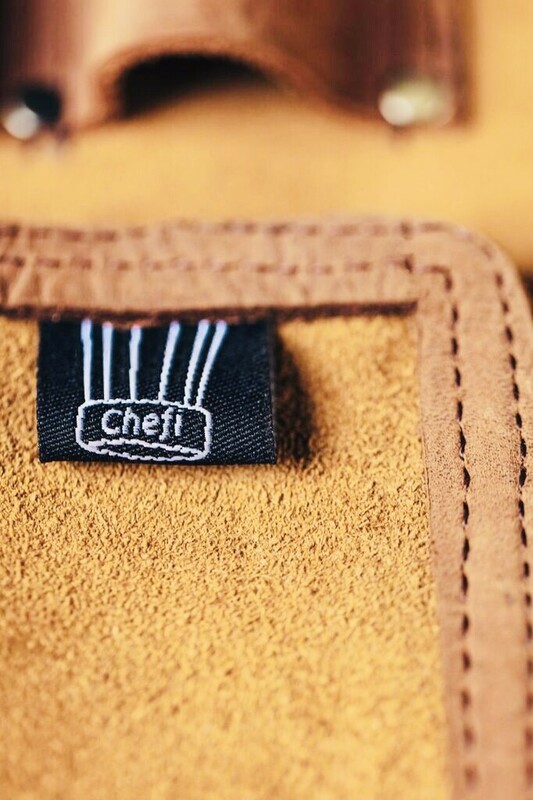 Your Chefi comes in a handmade black cotton cover to protect your knife roll! 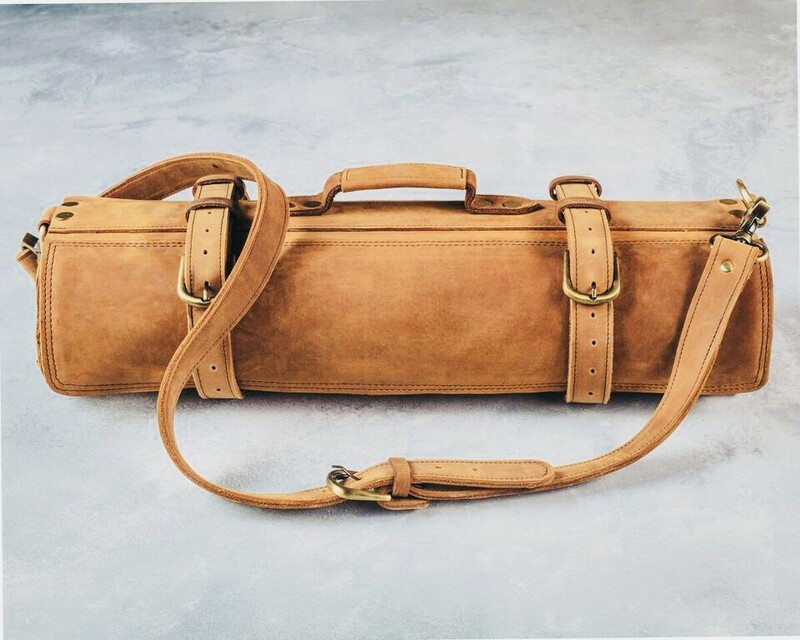 The Chefi Leather Knife Roll – Rain is a hand crafted leather roll holding 16 knives in all – 6 small, 6 medium and 4 large It also includes a custom leather storage pouch for Cleaver, keys, mobile phone, thermometer or other small items as per the user. Dimensions: 18.9″ (48 cm) wide x 31.5″ (80 cm), and can accommodate knives up to approx. 17.5″ (45 cm) in total length. As the knife rolls are handmade the colour can vary. Please be advised the international deliveries are charged subject to the destination country. We use a high quality oil pull up and buff leather. The knife roll is crafted strong enough to hold the weight of knives and tools. It has a protective leather Suede flap to keep the knives and tools safe. The metal hardware (Buckles.Rivets and hooks on the bag are of high quality. The belt and strap are crafted very thick to give ultimate longevity to the Roll and to easily hold the weight. The stylish naturally distressed knife roll is designed, cut, assembled, sewn, riveted and finished with attention to detail. Please bear in mind that the color of the inside suede may vary from the actual photo.